It’s time to get serious about your holiday gift shopping. WallpaperSTORE* turns pain into pleasure as all the hard work has been done for you; it stocks, wraps and dispatches worldwide the most spectacular selection that is certain to delight any lucky recipient. The polished perfection of silver, pewter and stainless steel is suitably festive and is sure to please. 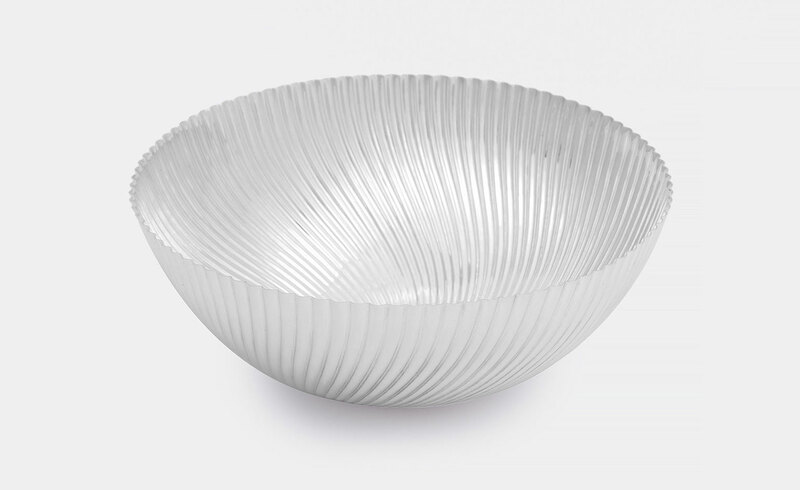 Our edit includes the rare and precious in sterling sliver from San Lorenzo Silversmiths; Afra & Tobia Scarpa’s 1971 ’Polygonal’ vase and Franco Albini & Franca Helg’s spiral bowls from the same year, ‘Gleam’ candleholder, ‘Gleam’ jigger and ‘Groove’ bowl all in polished pewter by Miranda Hopkins, the ‘U’ candleholder in polished stainless steel by Marc Holmes from Minimalux, Aldo Bakker’s elegant yet functional ‘Pitcher’ in polished stainless steel for Georg Jensen and Piet Hein Eek’s cylindrical ’Tube’ clock from Leff Amsterdam. 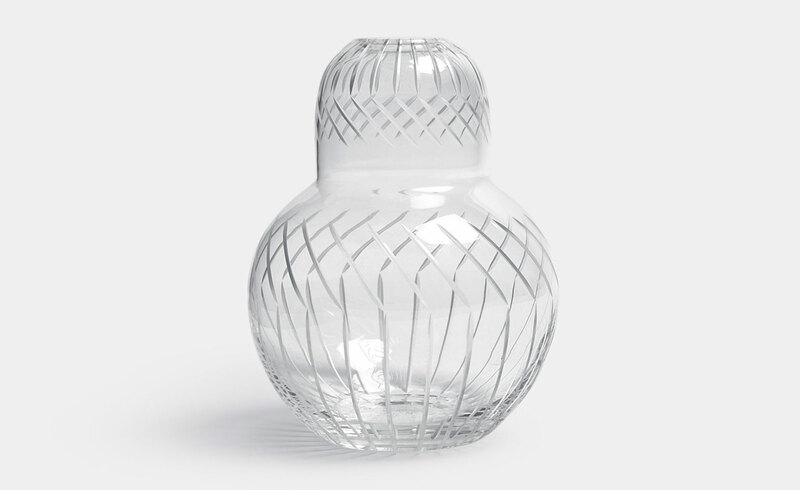 For good measure, mix in some mouth-blown crystal and etched glass including Mist-o’s hourglass shaped ’Bouquet’ vase for Ichendorf Milano, Oswald Haerdtl’s 1925 spherical glass Candy Dish for Lobmeyr or ‘Cut vase #2’ by Thomas Kral for PCM Design. Happy holidays.